John Henshall for MVCC gave evidence on economics and urban development and argued the project does not recognise the adverse impacts beyond the tightly defined ‘project boundary’. 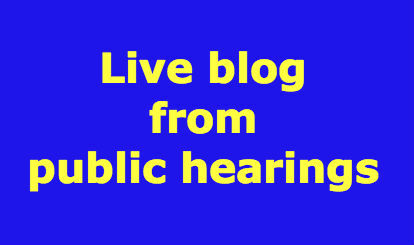 Henshall said there is a general lack of information to adequately access the net benefits of the project – certainly on an economic basis and there is no data to show how benefit cost ratio of 1.4 is derived as documented in the Short Form Business Case. Impacts not addressed include impacts on railways, activity centres, sport & recreation facilities, pedestrian and bikes paths, individual properties, Racecourse Rd, Mt Alexander Rd, property prices and loss of business. Morris (LMA): Is connectivity important for successful cities? Morris (LMA): What are the differences between toll and non-toll road? Henshall – would prefer a toll. Morris (LMA): The benefits of projects such as EWL are beyond ‘congestion busting’; such as the ability to create jobs, households, improve freight movements etc. Generally has other toll/freeways contributed to the cities development. Henshall – Agree. Morris (LMA): Plan Melbourne considered EWL. 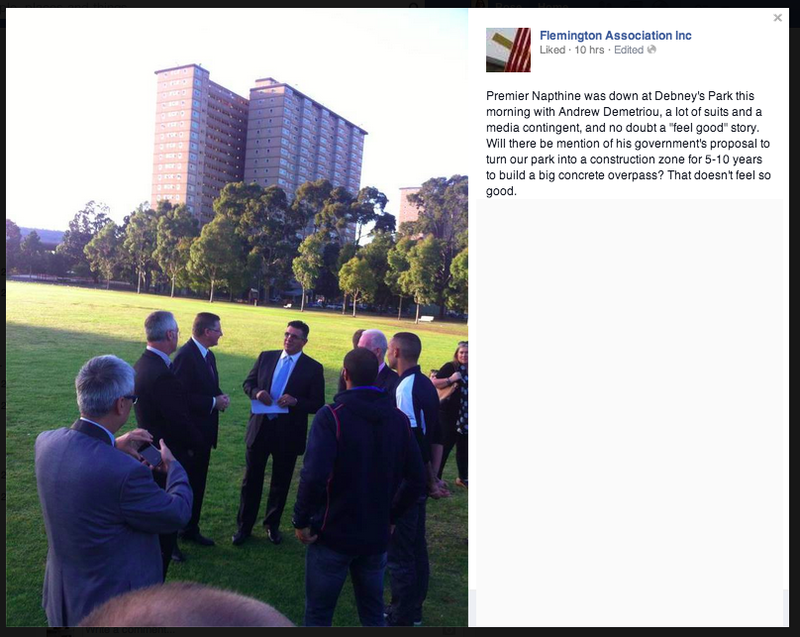 (But did EWL consider Plan Melbourne). Morris (LMA): An elevated freeway less intrusive in a commercial zone than a residential zone. Morris (LMA): CityLink has 70+db up to 300m away in the Arden-Macaulay area. So new entrants understand the existing noise levels and new Arden-Macaulay residents would understand these noise conditions. Henshall: As a developer I would be very concerned about the perception of noise. This is more important to a developer than the actual noise. It is the buyers who make the market decision and as a result of perceptions they will look elsewhere. Morris (LMA): EWL Arden-Macaulay plan will be enhanced by improved access to arterial roads and therefore improved desirability. It is best to specify Part B in the project plan rather than leave it up to uncertainty. Morris (LMA): Where is the supporting research to justify that statement that increased traffic affects – say Mt Alexander Rd – have adversely affected business? City of Melbourne final position remains that the performance requirements and conditions should be met. No alternative to the tunnel exit at Elliot Ave. was proposed and insignificant consideration has been given to impacts on Royal Park. It sounds like a riddle: please expert witness, can you tell us what you mean by ‘tree’? This is the level of technical and definitional discussion at the public hearings. When Shears says that 5000 trees will be impacted, it is natural the LMA would seek to define ‘tree’. it’s up there with ‘minimise’, ‘requirement’, ‘benefit’ and ‘open space’. To be a planner, one must first be a linguist. After lunch, I (Rose Iser) presented my ten minute pitch to the panel. Advice for submitters: ten minutes flies! Have a few keys points and make them well – rather than trying to cover everything. My presentation can be viewed here Rose Iser presentation Final I did manage to speed through 31 slides in the time limit, but I wouldn’t recommend this approach. I submitted the benefits put forward by the proponent in Planning Amendment GC2 are not evidenced in the CIS – namely better access to the city, relieving congestion on the road network and providing an alternative to the M1 and Westgate Bridge especially for freight. Also that the impacts have been underestimated, inappropriately addressed and outweigh the benefits. I was asked about the impact on Debneys’ Park playground: no, it could not be replicated without impinging on the sporting oval and, yes, it is frequented by children across Flemington. Ian Shears for the City of Melbourne provided startling evidence that the amenity value from the loss of vegetation from the project would be $18.7m. He stated that over 5000 trees would be lost (7 per cent of all trees in the City of Melbourne) and 30 per cent of Royal Park canopy cover. He said the challenge to replace this canopy cover would be significant and would take at least 20 years. The EWL project will also constrain the options available to replace this canopy cover – the depth of soil for a cut-cover project will restrict the choice of replacement trees. Much was made of an 1885 Sugar gum to the west of the zoo, just north of Elliot Avenue that would potentially be lost. The wetlands constructed in 2005 provide $500,000 worth of water and the adjacent land contains pre-settlement vegetation. These areas should be excised from project. The impacts of the Part B viaduct on Moonee Ponds Creek will limit the scope for environmental landscaping and recreational activity. Tweedie (LMA) – Are there tree controls in that plan? If not , is there is a requirement for permit for removal of a tree under heritage control? Dyson – No, there are no tree removal controls for single trees under the Master Plan. 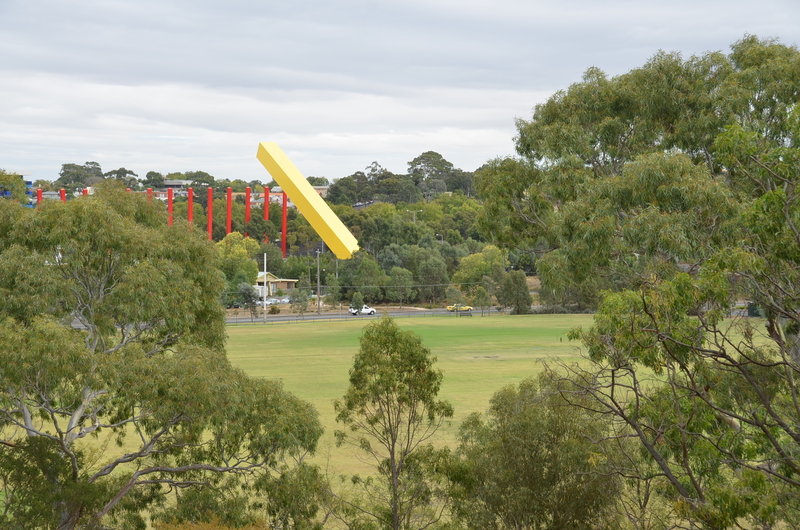 Tweedie (LMA) – Royal Park had major capital works undertaken under the Master Plan. Can LMA continue to achieve this ‘natural’ look? Dyson – The Master Plan was untaken within an open space, not to accommodate a major road. Tweedie (LMA) – The railway line currently divides Royal Park. Why can’t the Ross Straw field also be affected by a division? Dyson – The design purpose of the Master Plan was to reduce barriers and not to create compartments. It may currently be experienced as that. Tweedie (LMA) – referring to the Master Plan where engineering works proposed a ‘submerged’ road with landscaping over the top. Can engineering and planting be undertaken and still be consistent with the Master Plan? Dyson – Yes but should be compliant with issues such as canopy requirements. Pitt (CoM) – If ‘cut and cover’ process can all trees be replanted? 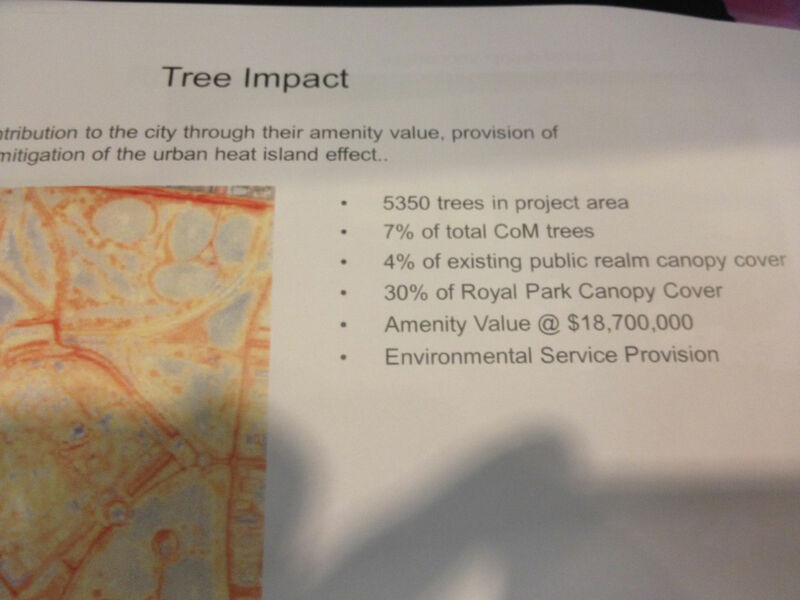 Dyson – There are significant older trees that may not be able to be replanted. Now Ian Shears for City of Melbourne. Dyson was cross-examined by Wren about the age of the trees in Royal Park and agreed that in some areas the majority of trees and shrubs are of recent origin. There are plans to replace the sugar gums lining the road. In terms of the time taken to replace trees, Dyson said it would take about 25 years to rebuild areas with recently planted trees and shrubs. Wren put that, in the context of heritage, 25 years was a small time frame to rebuild the foliage and greenery – particularly as trees are replaced when they get to the end of their useful lifespan. Wren asked whether the 1984 Master Plan can accommodate change – having already accommodated the Hockey Centre, and possibly a new freight rail line. 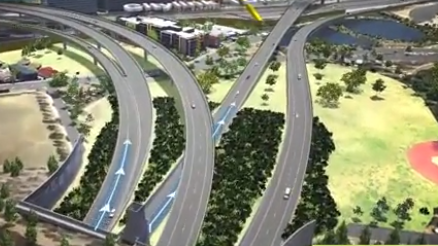 Dyson agreed it can accommodate change, but is doubtful if it can accommodate the tollway. Dyson suffered heavy cross-examination from the LMA about her research and independence. Tweedie (LMA) referred to her doctoral thesis on Royal Park and cultural heritage having already shaped her views about the heritage value of the park, suggesting her expert views were not objective. City of Melbourne objected to this line of questioning arguing that Dyson is the best expert on Royal Park. Tweedie then questioned the extent of Dyson’s research into the claim that Ross Straw was the first baseball field in Australia. Tweedie claimed the website from which this information was taken was no longer available. Preliminary matters this morning concentrated on whether the LMA could continue to introduce new material. Being an inquiry, rather than a civil case, material, and responses to queries from the panel, can continue to be presented. But counsel for the councils were concerned that if LMA brought in new evidence in their closing address, there would be no capacity for a response – contradicting the principles of natural justice. Christina Dyson was called for the City of Melbourne to present on the impacts on Cultural Heritage. She discussed the historical significance of Royal Park – e.g. first purpose built baseball field and heritage significance. She argued that adequate historical and heritage study was missing from CIS and as a result the historical significance is misrepresented. The works will be extensive and result in substantial change, the physical impact of which is is assessed in CIS, but the cultural and heritage value of which has not. Royal Park should not be seen as empty space and plans have been implemented since the 1984 Master Plan for Royal Park. All efforts should be made to ensure compliance with the master plan, or an alternate justified. Regarding the Australian Native Garden, the CIS states it is unaffected yet part of the garden will be lost. 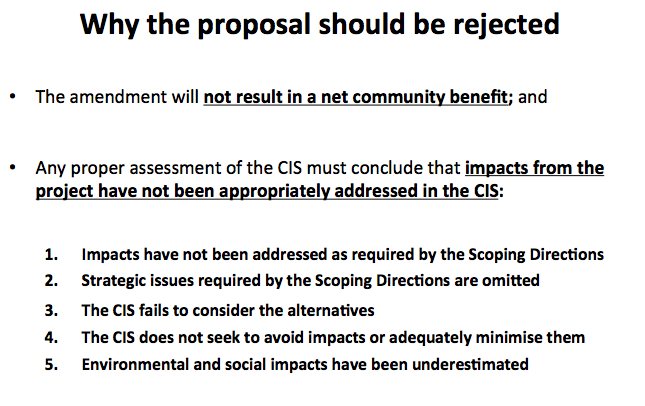 Dyson also mentioned there is no reference to alternatives in the CIS to minimising the impact and therefore it is difficult to assess or demonstrate that the requirement for mitigation measures has been undertaken.